After the first known chili competition in 1952, chili sort of simmered on the back of the stove for a decade or so. Frank X. Tolbert, who is considered the Godfather of Texas chili, was a columnist for the Dallas Morning News when the first chili-cooking contest was held. Tolbert covered the events at the State Fair of Texas where the contest was held, but made no mention of it in his column. But by December of 1960, Tolbert had caught on to the popularity of chili, and his column, Tolbert's Texas, was headlined "Chili Mail is Hot and Heavy". Obviously, Tolbert had been getting many letters on the subject of Texas chili. The November 24, 1962 edition of The Saturday Evening Post carried an article by Tolbert titled, "A Bowl of Fire called Chili". After that article appeared, Tolbert's column turned its interest primarily to chili and chili lore. The 1960's were good years for chili. LBJ was in the White House, and all things Texas were in demand. In August of 1967, journalist H. Allen Smith (not a Texan, by the way) wrote an article for Holiday magazine entitled "Nobody Knows More about Chili than I Do", and the war of words began. There were weekly salvos from Tolbert's Texas berating Smith as a know-nothing maker of vegetable stew. In the meantime Carroll Shelby and David Witts had acquired some land around Terlingua in far West Texas, and Tolbert had penned his book, A Bowl of Red. A meeting of great minds came up with the idea of having a chili contest at Terlingua to promote real estate and the written word. A scenario was concocted for the contest. It would be Texas' best chili chef against some Outsider. Texan Wick Fowler (Newspaper war correspondent, merchant marine, Texas highway patrolman, sailboat designer and political aide were among his credentials.) was the hands-down favorite to represent Texas, as he had been preaching the chili gospel for many years. The original Outsider chosen was David Chasen of Hollywood restaurant fame. Chasen came down with some unspecified illness shortly before the contest, and H. Allen Smith was summoned from the bench to substitute. At high noon the 21st of October, 1967, the world changed. Chili was on its way to headlines all over the world. Judges for the chili competition were Hallie Stillwell, Floyd Schneider and Dave Witts. Stillwell voted for Smith, Schneider voted for Fowler. Witts took one taste of chili and began to show all symptoms of gastric distress. After they got him up off the floor, he said his taste buds had been damaged beyond repair and he could not vote. The referee, Frank X. Tolbert, declared the contest a draw. There was no winner at the first Terlingua Chili Cook-Off. Sear the meat in a large skillet until gray in color. Transfer the meat to a chili pot, along with the tomato sauce and enough water to cover the meat about 1/2 inch, mixing well. Stir in the Tabasco, chili powder, oregano, cumin, onions, garlic, salt, cayenne, and paprika. Add the Japanese chiles and chilipiquins, taking care not to break them open. Let simmer for 1 hour and 45 minutes, stirring gently at intervals. About 30 minutes before the end of the cooking time, skim off any grease that has risen to the top. Mix the flour with a little water to make it liquid without lumps. Add this paste to ingredients in the pot and blend in thoroughly. Adjust salt and seasonings. Unless you are chili hungry at the moment, let the chili remain in the pot overnight, then reheat and serve. Freeze any chili left over. Serve with sliced or chopped onions and pinto beans on the side. Fowler's recipe is fairly standard for the day, but includes a lot of hot to make it interesting. The Tabasco, cayenne, Japanese chiles and chilipiquins contain substantial heat. The paprika was mostly for color. Get 3 pounds of chuck, coarse ground. Brown it in an iron kettle. (If you don't have an iron kettle, you are not civilized. Go out and get one.) Chop two or three medium-sized onions and one bell pepper and add to the browned meat. Crush or mince one or two cloves of garlic and throw it into the pot, then add about a half a teaspoon of oregano and a quarter teaspoon of cumin seed. Simmer for an hour and a half or longer, then add your beans. Pinto beans are best, but if they are not available, canned kidney beans will do -- two 15- to 17-ounce cans will be adequate. Simmer another half hour. Throughout the cooking, do some tasting from time to time and, as the Gourmet Cookbook puts it, "correct seasoning." When you've got it right, let it set for several hours. Later, you may heat it up as much as you want, and put the remainder in the refrigerator. It will taste better the second day, still better the third, and absolutely superb the fourth. You can't even begin to imagine the delights in store for you one week later. Smith's use of bell pepper and beans were the big difference in his chili from what was known as Texas Chili. Everything else is pretty much standard. The first thing you should notice about these recipes in the sparse amount of seasoning used as compared to today's competition chili. Three tablespoons of chili powder for three pounds of meat is about one-third of what you would find in competition chili these days. Smith's recipe is much lighter on the cumin than is Fowler's. Today's best runs about one-third as much cumin as chili powder. Fowler's recipe would be a bit hot for today's delicate judges. If you try Fowler's recipe, reduce the amount of Jap chiles and the chilipiquins until you decide how much heat you can stand. Both recipes seem to me to be a bit heavy on the onions. One onion should be enough for the amount of chili here. 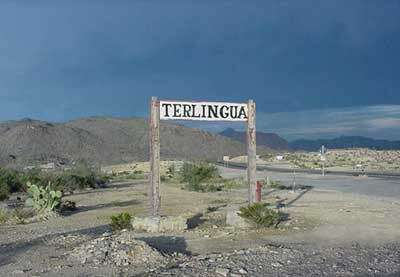 Next month we will pursue the subject further in part three, The Sixties; Terlingua Cook-Off Grows. Don't touch that dial.